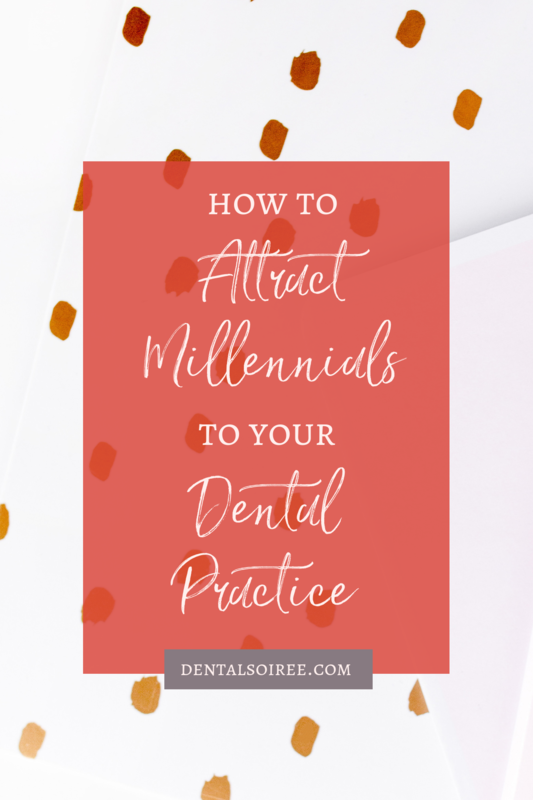 How to Attract Millennials to Your Dental Practice! Every day, it seems like there’s some news story about Millennials “killing” another industry or brand. It might be easy to say this generation is hard to please or ruthless, but we know there is FAR more to the story than that. Understanding the full story (and knowing how to attract Millennials rather than repel them) is vital if you own or run any kind of business… dental practices included. Millennials are the people who were born between 1982 and 2000, and as of today, there are about 80 million in the United States. That’s a lot of buying power! If your dental practice is still struggling to attract younger adults, it’s time to reflect on your marketing strategy. After all, Millennials often have young children, so if you also offer pediatric dentistry, you could be looking at A LOT of potential new patients. Recently, an article came out in Dental Economics that claimed Millennials are shying away from private practice dentistry. There’s a few reasons the author of this article believes this is happening. Surprisingly, very few of his reasons have anything to do with actual dentistry. Instead, it’s more about the experience and how easy it is for them to interact with your practice when they need to. Do you have a website that works well on mobile? Do you allow patients to book their appointments online? Making it easy is the name of the game if you want to win over this huge chunk of the population! For a dental practice to attract Millennial patients, you have to show up where they hang out. In this day and age, that means online! Your website must look good and be discoverable through search engines, which means spending a little time and energy on SEO (consistent blogging, keyword research, and website optimization). In addition to a great website, you need to be active on social media. Just posting once in awhile isn’t enough. Daily conversations with your followers is mandatory, and making your content fun, engaging, and informative is key. It should not be about YOU and how great YOU are. It should be about your followers. Solve their problems, give them helpful tips, and get to know them though actual conversations online. This is how you win over the younger crowd. At the end of the day, your goal should be to create content that shows exactly why your practice is the best one for your potential and current patients. Showcase your personality, your skills, your equipment, and your services. Use attention-catching imagery and short videos to really “wow” your followers. Be consistent on social media and have a great website. It can seem like a lot, but if you take it one step at a time and outsource when you can, we guarantee you can grow your audience, not only with Millennials, but across the board. 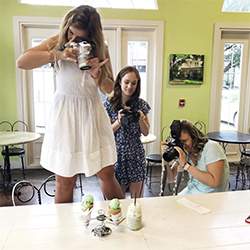 Do you need help with social media management, content strategy, or do you need to schedule a photoshoot so you have tons of on-brand imagery and video to share online? We are here for you! Feel free to contact us anytime. Why not start with the good stuff! What do you think was your biggest success when it came to marketing your business? Can you tie that success to any one decision you made about your marketing strategy? Examining what worked (and why) is a very important step to making sure you can replicate it moving forward! Has your target market changed? A year is a long time, and in that time, many changes can happen. Your business or your community may have shifted in such a way that the target market you started the year with is not the same target market you have today. It’s important to know who you are trying to reach with your marketing so you can tailor your strategy to reach the right people. Otherwise, you’re just shouting into the void and hoping that someone will hear you! Who was your biggest competitor? Sometimes we get so busy we are just focused on keeping our heads down and doing our best work. Nothing wrong with that! However, the end of the year is a great time to finally come up for air and assess what’s been going on in the industry. Who do you consider your biggest competitor? Knowing this will help you as you think of creative ways to differentiate yourself in the new year. What was your most popular service? Did any one service rise to the top this year? If so, you might want to consider putting a little more advertising dollars into promoting it over the next year. Your customers are showing you that what you are offering is something they need and want — which is VERY valuable information that you’re getting absolutely free! 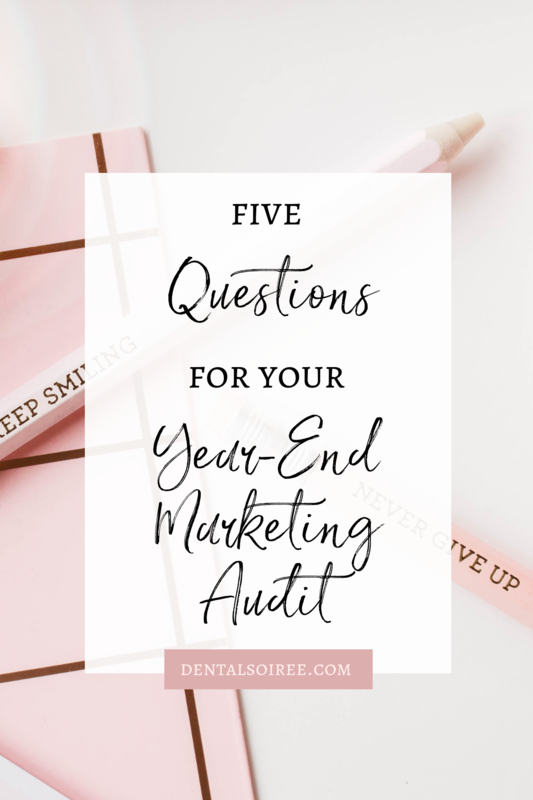 During your year-end marketing audit, make sure to consider your most popular service and assess how (and how often) you posted about it on social media. Which social media post performed the best on each platform? Every year, it’s important to sit down and spend some time auditing your social media profiles. Make sure everything is up-to-date and accurate, but also pull up those analytics! See which posts performed the best on each platform and see if you can identify a common theme. This will help you clearly see which content your followers want to see more of so you can start the new year off on the right foot. If you decide to outsource your dental marketing in the new year, we would love to help! 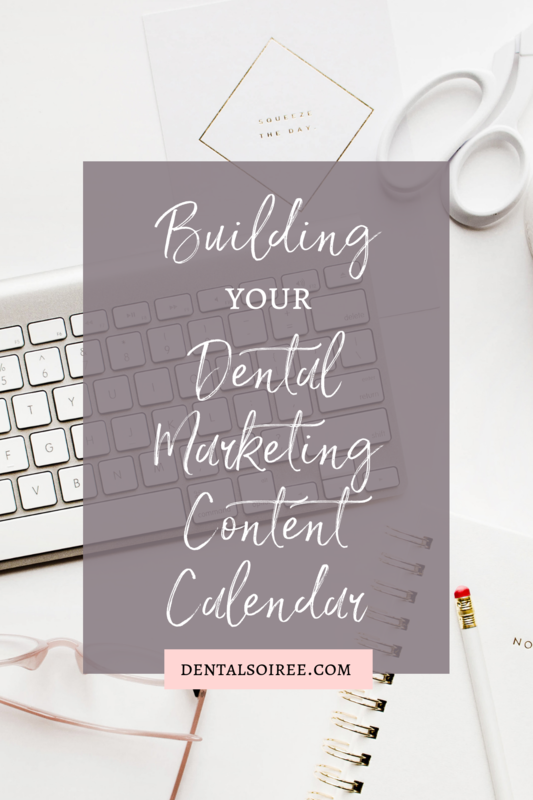 Dental Soiree specializes in creating engaging social content for dental practices with the specific goal of helping them grow and become more profitable. Learn about our packages or get in touch with us to discuss your needs by filling out our contact form. It’s time to kiss traditional marketing (and the non-stop hustle) goodbye! 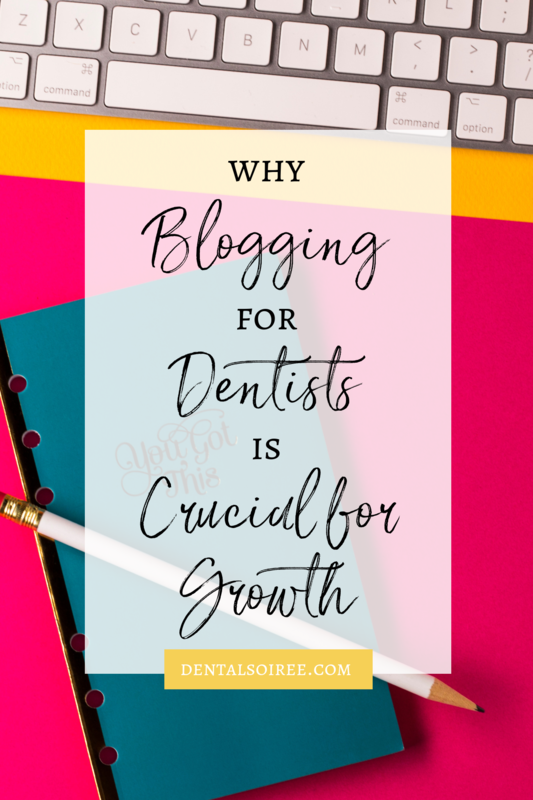 Instagram is an absolutely AMAZING resource that can transform the way your dental practice shows up online and reaches new potential patients. This photo sharing social media platform allows practices (and all businesses and brands) to reach new audiences and spread the word about their services. 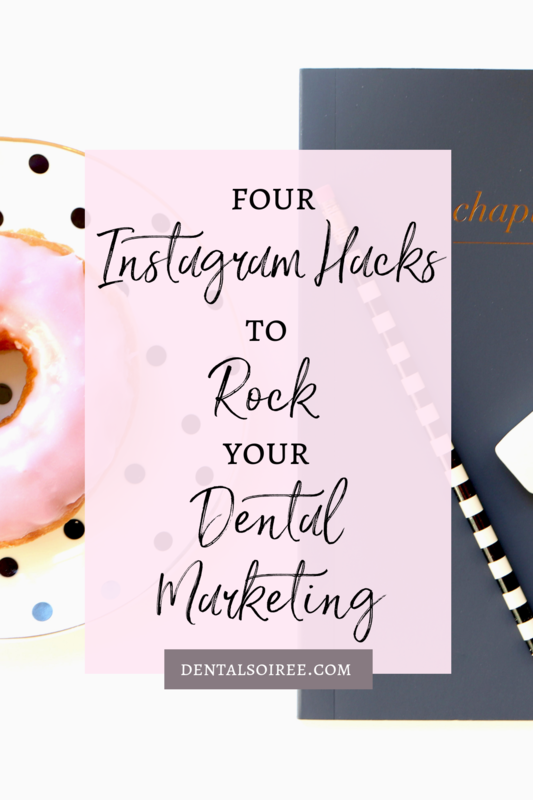 Here are four Instagram hacks you can use to really rock your dental marketing strategy! The first Instagram hack we want to share is not really a hack at all. It’s just a reminder to be consistent with your posting schedule. Consistency is key on Instagram. In order to be seen by your followers, you should aim to share content every day if possible. The regularity of the content will help your audience grow at a steady pace and keep you one step ahead of the algorithms. It’s also important to stay consistent with the type of content you’re sharing. As a dental practice, sharing a picture of your family pet may not make the most sense. Keep your content “on brand” by consistently using the same editing styles. 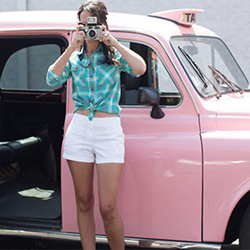 Try using the same filter on all your photos. They’ll look more cohesive and when people see them, they’ll know they came from you. Hashtags are a free tool that you can — and should — use to help spread the word about your practice. They’re like tiny little Instagram hacks that can connect your photo to a network of similar content on the platform. Let’s say you’re looking for photos pertaining to veneers. You can log onto Instagram, search #veneers and instantly see all the photos that have been shared. More importantly, your potential patients can do this, too. 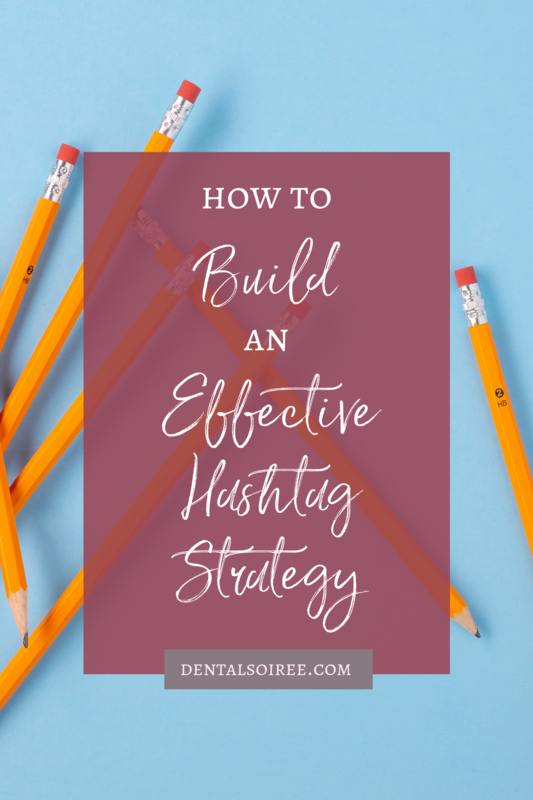 Hashtags are helpful for people who want to look for content about a specific product or service. If a user is trying to find a dentist in Chicago, they can search #chicagodentist or #chicagodentaloffice to see the practices in the area. Don’t forget to make your posts searchable using relevant hashtags! Interacting with your followers on Instagram is important, especially as a dentist. Your Instagram feed can act as a new form of communication between you and your patients. By creating a positive relationship with patients online, they’ll form a sense of loyalty to your practice. The more positive the experience, the more likely they’ll be to continue visiting your practice. Don’t stop there, though. Interact with other members of your community, like neighboring businesses. 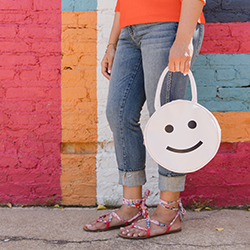 People in your geographic area will see this and click through to your page to learn more about this fun dental practice that’s going out of their way to be kind on Instagram! Sponsored posts are a great way to reach a new audiences in a targeted demographic beyond your established network of followers. Not only could you reach new potential patients, you could also reach people who will help you with free word-of-mouth advertising! Maybe they don’t need a new dentist, but they know someone who does. If your post is engaging enough, they may mention it and voila! New patient! When setting up a sponsored post, you can decide what kind of audience you would like to reach. For example, if your practice is based in Phoenix, Arizona, you can arrange to have to post reach users in the Phoenix area only. This will get your name out in front of Instagram users who are already living and working in your neighborhood. 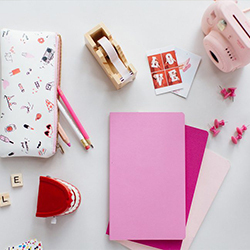 Have you tried any of these Instagram hacks? Let us know in the comments section! If you want more information on how to make Instagram work for your practice, we have a course for that. Check out our Instagram course over on The Soiree Suite to get all the details!